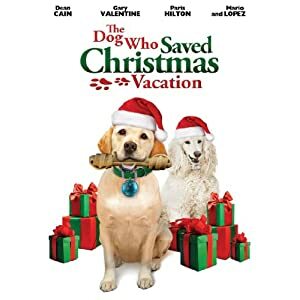 This is a sequel to The Dog Who Saved Christmas which is an ABC Family original movie. We watch a lot of ABC Family but somehow missed this one. Of course after watching this super cute movie Gracie wants to see it. :) I mean who can resist a Christmas movie with dogs. The dog movies are always good. I mean think Ol' Yeller without the dog going crazy and having to die. WIN IT: One lucky reader here has the chance to win a copy! To enter leave me a comment telling me why you think you'd like this movie. Giveaway ends on January 24th at 11:59 PM EST. Winner will be chosen using Random.org. We really liked this movie too!